During Gamescom, Nintendo of Europe has finally confirmed two things for Fire Emblem Warriors. Firstly, Fire Emblem Warriors will be launching in Europe on October 20 for both Nintendo Switch and New Nintendo 3DS. Secondly, there will be a Limited Edition for the Switch version of the game. It comes with a copy of the game, 3 CD Original Soundtrack, and Character Cards. 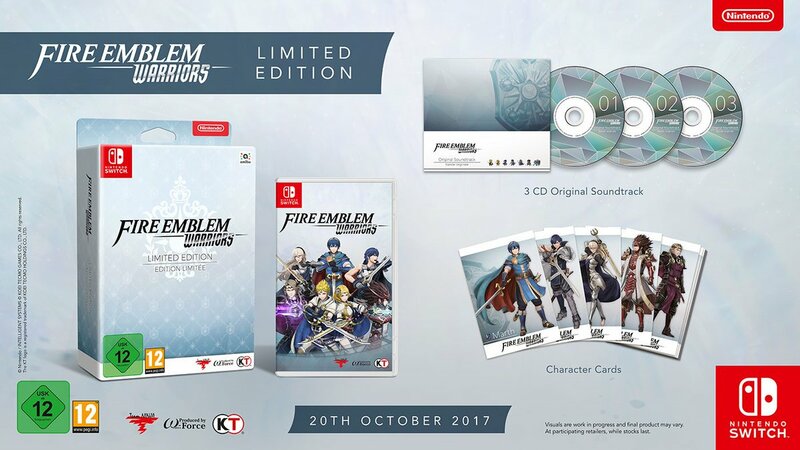 Both the Limited Edition and release date for Fire Emblem Warriors have not been confirmed for North America yet.